Are you ready for release day? The Bountiful Memories Kit goes live in just a few short hours! How about one last sneak peek? It's a peek at one of the mini album samples we've created using the Bountiful Memories Kit. There are two samples with instructions so that you can choose from a myriad of ideas on how to use your kit. Follow along with the kit instructions you like best or follow your own creative journey and let your imagination be the only limits! Check back here today at 10 am CST when the kit goes live! It's an amazing value that you won't want to miss! The sneak peeks are almost through as Bountiful Memories will be released in one more day. Here's another little peek at the kit to keep you going until then! Daisy trim...check. Gorgeous papers...check. Sweet sequins...check. Classic jute twine...check. Darling spool of luscious rhinestone trim...check. Lovely ticket accents...check. We're loving it all! How about you? We have one last peek tomorrow morning to share with you before our 10 am CST release. Stay tuned! In the meantime...if you haven't signed up for our Maya Road Kit Chat Group on Facebook, why not do so? We're sharing some extra sneak peeks there! It's lots of fun and a great way to get to know other crafters and share projects using our Maya Road Kits. Hey Roadies! We're back again with yet another sneak peek of Bountiful Memories. It's our latest kit and it's scheduled to be released in just two more days! We thought you'd love to see just how lovely this kit is. 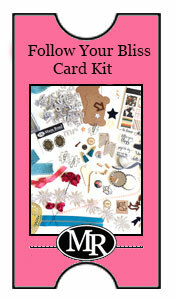 At Maya Road we ADORE embellishments and seriously...this kit has some of the very best! Today we're sharing a peek at some fabulous wood, darling trim and sweet felt shapes. We know how you love flair and you can see one of our exclusive pieces here. Here's a quick bit of info for you. Did you know that our last mini album kit sold out within 48 hours?! This time due to popularity we've put together a larger release but just in case put Friday August 15th on your calendar. Release time is 10 am CST. Ready for a second peek at the upcoming Bountiful Memories Kits?! How does this look for beautiful? Pretty paper roses, trims, pins, wood and more! How about those cute little photo corners and hello! Those just might be some exclusive journaling cards. Creative sweetness! Are you ready to get creating? Bountiful Memories will be released this Friday August the 15th. Would you like to get on the preview list for the kits? Those on the preview list will get first dibs at the Bountiful Memories Kit! If so contact us and let us know you would like to be one of the first to shop our Bountiful Memories Kit! We will offer a special head start to those that ask to be on the list! Time to kick off another release countdown! We're pretty excited about our new upcoming kit. 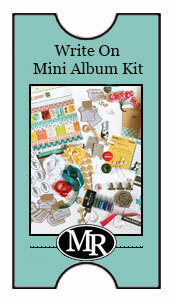 It's another super-fab mini album kit! Today's sneak peek gives you an idea of the fun theme and color combo. It's perfect for any time of year but we are loving this combo as Autumn approaches. How about you? Our Bountiful Memories Kit will be release this Friday August 15th. Mark your calendars!